It seems like the wedding season has kick-started in the tinsel town. The next TV couple to get married are Sheena Bajaj and Rohit Purohit. Yes, the couple are all set to tie the knot on January 22 in Rohit’s hometown, Jaipur. Confirming the news of their wedding to the Times of India, Sheena said, “The Wedding is on the 22nd and the pre-wedding functions, including mehndi, haldi, sangeet and engagement, will be held on the previous day. All functions will be held in Jaipur.” Rohit further added that because he is a Punjabi and Sheena is a Marwari, hence two wedding functions will be held. The couple have been dating from the past five years. 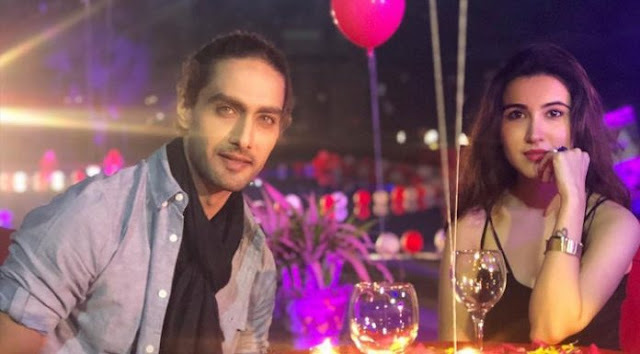 The duo met each other on the sets of Star Plus show ‘Arjun’ post which the couple stayed in touch and started dating dating each other six months later.